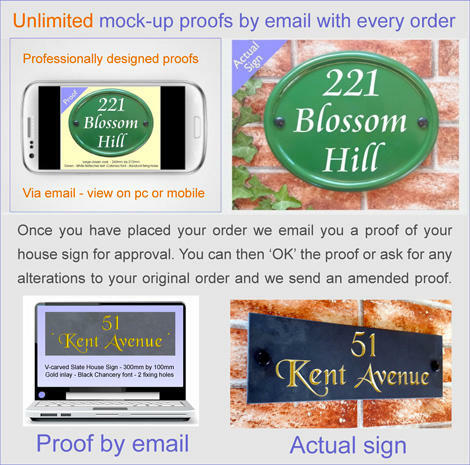 Rectangular house sign suitable for house names, numbers, address lines and directional arrows in up to three lines of text. 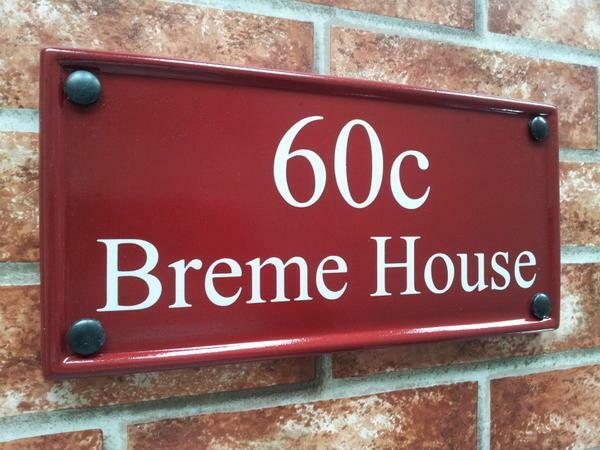 Just to let you know that we have received our House sign. We are very pleased with it. Thank you for your email. I collected the sign on Friday and it is up on the wall and we are very happy with it. 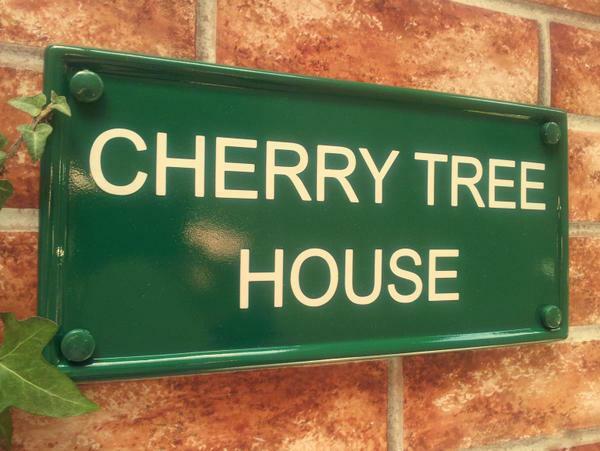 Just to let you know that the sign has now arrived safely, and I'm absolutely delighted with the quality. Thank you! 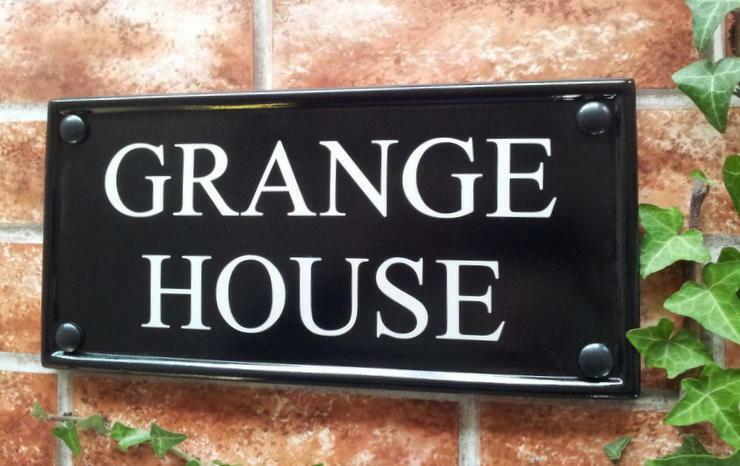 Just to let you know that the house name sign arrived to-day! It looks very good and will be in keeping with the Cottage. Thank you. 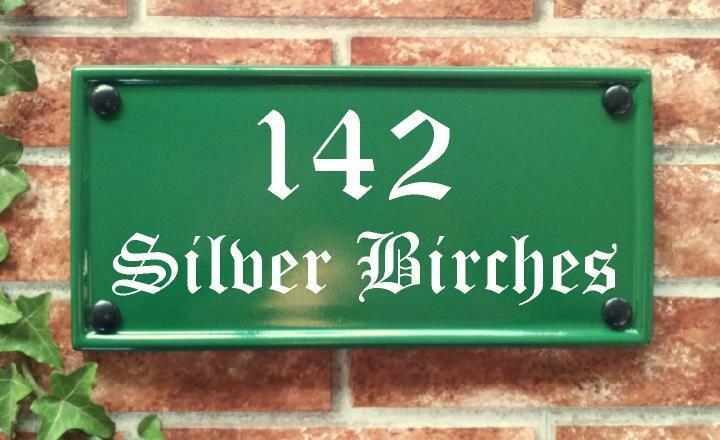 Just to let you know that the sign arrived today. It looks very good. Thank you. The signs arrived today in good condition. I am more than delighted with them. many thanks. Please select... 1 Line - one line of text centered 2 lines - two lines of text centerd 3 lines - three lines of text centered Just a large house number only Large house number with decorative scrolls Large number to the left - lines of text to right Other - let us know in 'Special Requests' box Whatever look best! Very pleased with the name sign and the service. 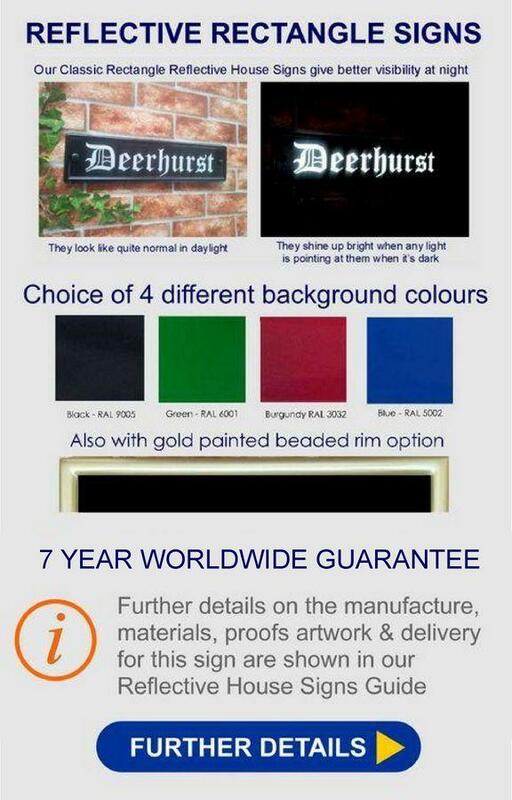 Good quality sign , delivered extremely well packaged. 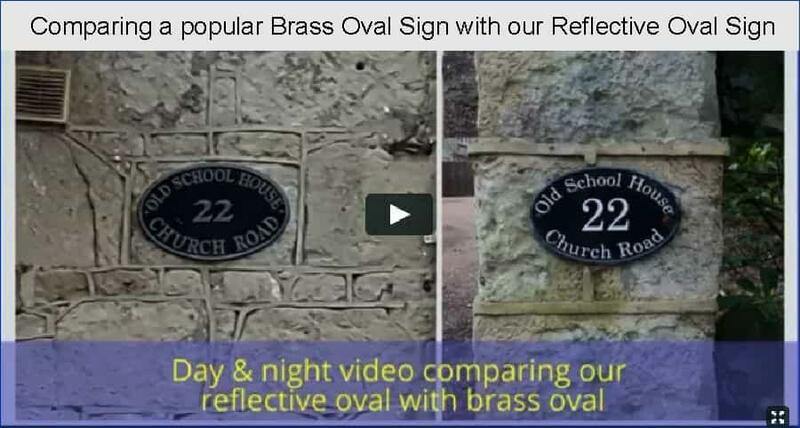 I would recommend yoursigns and will order a smaller house number to match.